These domes are a larger version of my Peace Domes. The bottom half is typical earthbag construction. 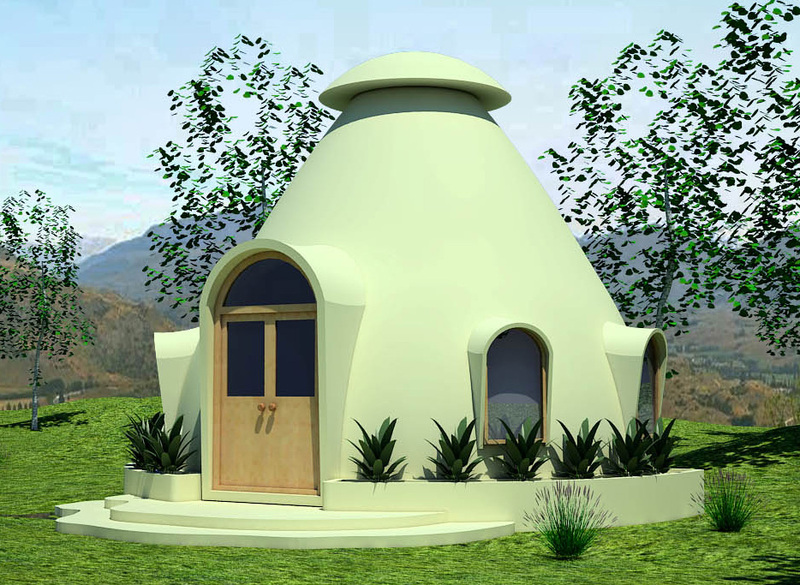 The top half is lightweight insulation to speed construction and keep the domes cool in harsh climates. The insulated portion will be built much like the Insulated Earthbag Vaults discussed earlier. Many of the structures will be covered in tile mosaics similar to Gaudi tile designs. 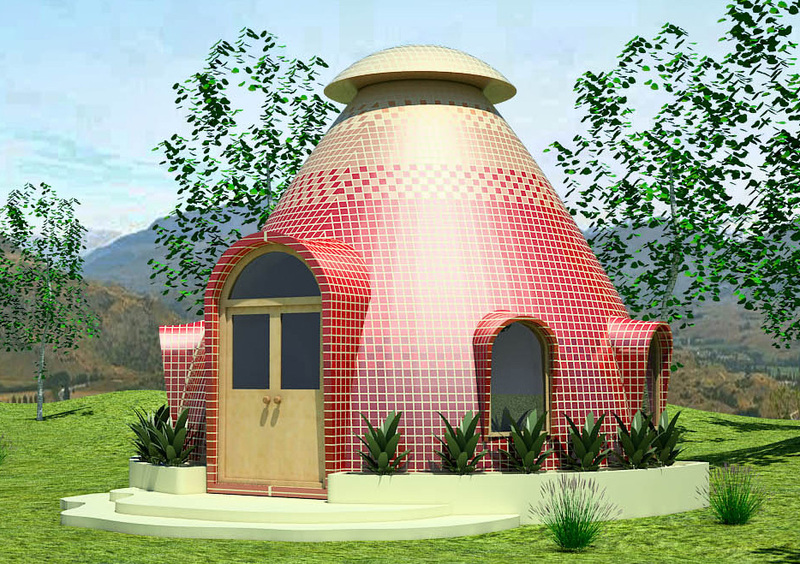 The domes are part of a sustainable community being planned in Thailand by Sumano Bhikkhu and Dr. Ajahn Somchai Kantasilo called The Mindfulness Project. This is probably the most exciting project I’ve ever heard of and I’m very honored to be designing their houses. More details coming soon. Red in the Thai flag represents the people. The color scheme of the red dome symbolizes personal and spiritual growth as people achieve higher consciousness. I am curious about the roof… is it a stick roof? What kind of materials on the outside? What, if any, rain gathering component to the roof? Many thanks for posting! The posts and framing are all bamboo. The roof started out as canvas/sail cloth covered with magnesium cement or latex cement. I think they’re going to use polyester canvas. There’s no rain catchment at this time on the gazebo, although there’s rain catchment on the nearby solar vaults. I’ve considered that it may be possible to collect rain water off of these domes by wrapping the bench completely around the dome and building in a small trench close to the wall that would flow to a lowest point behind the dome. Then, an in-ground tank could hold the water. Just an idea.